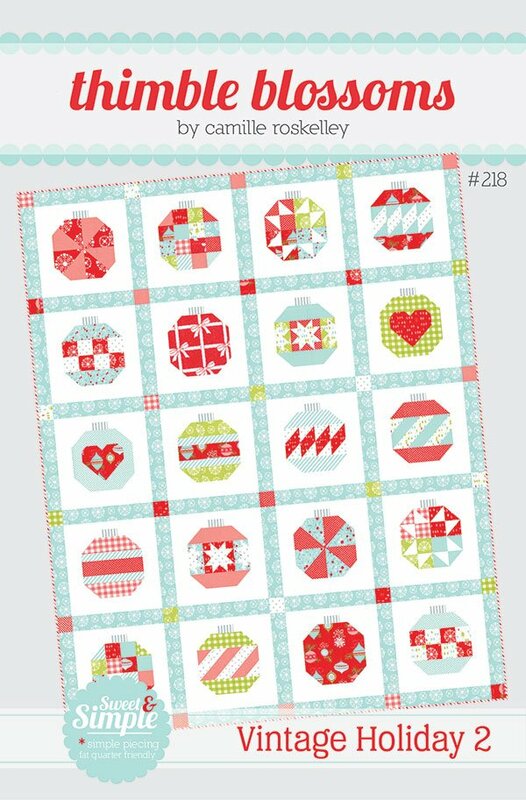 Vintage Holiday 2 by Thimble Blossoms TB218. Fat Quarter Friendly. 12 inch block. Quilt size 58" x 72". Features Vintage Holiday fabric by Bonnie & Camille for Moda.